The Pontifical Council for Justice and Peace issued a message Saturday on the 71st anniversary of the atomic bombings of Hiroshima and Nagasaki at the end of World War II. 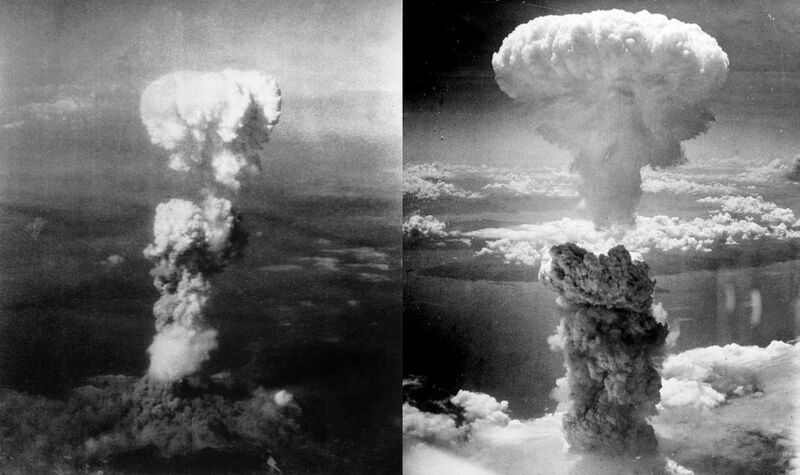 Hiroshima and Nagasaki were bombed in 1945, on August 6th and 9th respectively. On behalf of the Pontifical Council for Justice and Peace, of Cardinal Peter Turkson its president, and of all its members, consultors and staff: peace to you from God our Father! It is always an important grace to commemorate the tragic anniversary of the atom-bombings of Hiroshima and of Nagasaki. For me it is a special honour to do so in person; and to extend to everyone here present, to the Church in Japan and to the entire Japanese nation, the most sincere prayer of solidarity and hope. For over a thousand years, many Christian denominations have celebrated the solemn feast of the Transfiguration. The Transfiguration reveals the glory of Christ and demands a response of listening to Jesus Christ and of following him. His glory is revealed because, as Pope Francis preached on 1 March 2015, his “full adherence to the will of the Father makes his humanity transparent to the glory of God, who is Love” and mercy. On 6 August we also remember the passing from this life of Pope Paul VI, 38 years ago, who most famously declared at the United Nations on 4 November 1965, “Never again one against the other, never, never again! … Never again war, never again war!” With the challenging encouragement of Blessed Pope Paul, let us pray and act in solidarity with the victims of the atom bombs and of all wars and all terrorism around the world. With all the significance of 6th August, then, what makes 2016, the 71st anniversary, a unique and special occasion for our prayerful commemoration? By Divine Providence, it takes place during the Extraordinary Jubilee of Mercy established by Pope Francis. This Jubilee gives each and every one of us the opportunity to revisit the sinful and sorrowful moments of our lives, not in order to be crushed and to despair, but in order to allow God’s loving grace to enter with forgiveness and healing. Our Heavenly Father “never tires of casting open the doors of his heart and of repeating that he loves us and wants to share his love with us … From the heart of the Trinity, from the depths of the mystery of God, the great river of mercy wells up and overflows unceasingly … The Church is called above all to be a credible witness to mercy, professing it and living it as the core of the revelation of Jesus Christ” (Misericordiae Vultus, § 25). Especially today, we pray that God may flood all our sins, recriminations and discouragement with His “great river of mercy”. As we commemorate the atomic bombings of 71 years ago, may the Year of Mercy and the feast of the Transfiguration inspire, teach and guide us. May they open us to the mercy with which our Heavenly Father so ardently wishes to flood our hearts. May the graces of pardon, reconciliation, solidarity and hope touch each person, each faith community and social group we encounter. Together we pray to our all-merciful Father in the name of Jesus Christ and with the intercession of our Blessed Mary, Mother of Mercy, and of Blessed Paul VI, Amen!